iPhone 5S Data Recovery: iPhone 5S Not Charging! Can I Do Anything About It? My iPhone 5S is not charging! Please help!? Whenever I plug the charger in, it will not charge. The bad iPhone experience still happens on the newest iPhone. 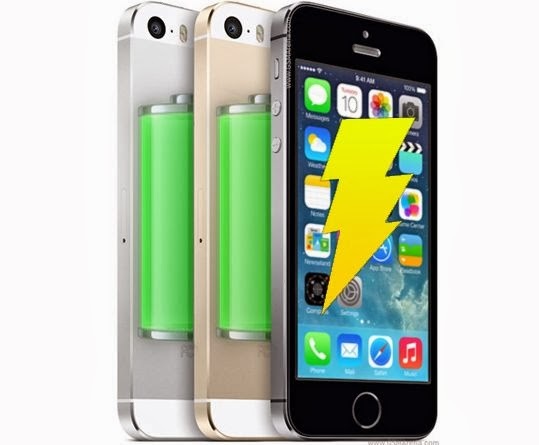 Some iPhone 5S not charging to 100 percent, while some is not charging at all. Such thing happens especially since iOS 7 update. If you are facing this kind of condition, keep reading the detailed solution below. Enjoying your rights during warranty period! If your iPhone still under warranty, just save your trouble by contacting Apple Support to request for repair or replace charger and cable, like a sluggard. Unfortunately, your under warranty has expired? Then, just fix the matter yourself! Issue #1 iPhone 5S not charging through USB- Here what I mean particularly for power outlet with the Apple USB power adapter. 1> Restart your iPhone. I believe everyone have noticed that sometimes restart computer can solve some minor issues. Similarly, restart iPhone and charge again, things may be solved. 2> Once a piece of dust inside the USB end of the cable and it was blocking the full connection I blew it and everything is work fine. 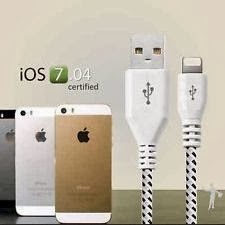 Therefore, check iPhone dock connector or your USB cable to see if something there. 3> Check USB cable and wall charger. Just like a test, it is better to borrow a normal USB and wall charger. To test USB port itself that's broken, you can replace your iPhone cable by getting a good one. Buy a new cable from store if question appears on USB cable. Likewise, test your wall charger in a similar way. 4> Perform a recovery-mode restore. Recovery mode can help solve complex problems as iPhone displays the Apple logo with no progress bar. I have written an article special for how to enter recovery mode with single click before. Backup your data once you decide to do it because of such operating will lead to data loss. Otherwise, you have to take some measures for iPhone data recovery. Issue #2 iPhone 5S not charging in car- In practice, most car owner like to charge iPhone with car USB charger. I saw these from an answer for how to solve unable to charge the iPhone problem, so here I just give a direct quotation. 1. Car USB charger is not supported for iPhone 5S. 2. Loose connection iPhone 5 is not charging. 3. Connecting ports in car is not working. 4. Power supply problem in your car because of this problem raised. 1. If loose connection exists then resolve it. 2. Change to new if USB cable not working. 4. Check the battery of car working or not to keep charge. Issue #3 iPhone 5S not charging on computer- Cannot get a reliable charge from a PC over the USB>Lightening cable. 1) Change USB port. Plugging your iPhone 5S into another USB port on your computer or another computer. 2) Make sure the device drivers have installed properly. If you can’t get the "apple mobile device USB" prompt when plug in iPhone, just installed properly it. Issue #4 iPhone 5S fails to get fully charged till 100 percent- Or sometimes need to last 1 hour to charge fully. 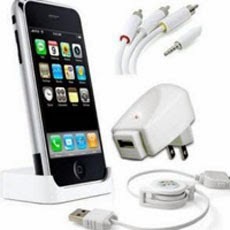 -Make sure the iPhone does not get overheated during charging. Besides, it will be better to charge it in switch off mode. I think your problem will be solved now. Or you’ve tried other ways worked for you but I don’t mention in this article, leave a comment below right now. The information you have given is really awesome. I am having one iphone5s phone which is not charging through the USB. Could you please suggest some good brands of USB chargers? I have gone through a site airccc.com they are giving good USB connectors. Thanks a lot for the valuable information. You have a lot of spelling issues Michael.